Comments: Emeline Eulalie Ellison (Nee: Sincenbaugh) | Spencer NY United States | 1901-1920 | Comments: I believe this was taken at her house on Main Street in Spencer, NY Emeline Eulalia Sincenbaugh Ellison born May 18, 1868 in West Danby died April 28,1960 Spencer, NY Married John James Ellison Sept 30,1887 ELMIRA STAR-GAZETTE WOMAN, 91, DIES OF BURNS WAVERLY- Mrs. Emeline E. Ellison, 91, of 101 N. Main St., Spencer, died at Tioga General Hospital early yesterday morning, a little over a month after she was admitted for treatment of burns suffered in a fire at her home March 22. Mrs. Ellison, who died at 11:36 a.m.,had been treated for first and second degree burns of her head, neck and chest. Mrs. Ellison, who had lived alone, was preparing her noon meal when her apron caught fire from a gas stove blaze. The elderly woman ran outdoors and threw herself in the snow to extinguish the garment fire, then hurried to a nearby trailer for help. 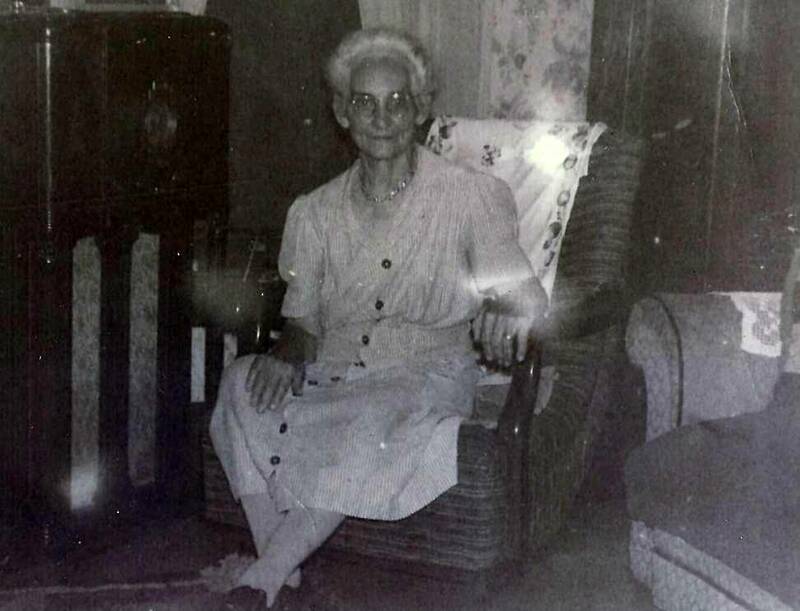 Mrs Emeline E Ellison, 91 101 N. Main St. , Spencer Thursday April 28 1960. She lived in Spencer for 70 years; was a member of Spencer Baptist Church Survivors include sons William of Burbank, California, George of Elmira; eight grandchildren; 28 great grand children; four great-great grandchildren. Body at Allen Funeral Home, Spencer. Calling hours: Saturday afternoon and evening. Funeral Sunday at2:30 pm at Spencer Baptist Church the Rev John L. Brown. Evergreen Cemetery at Convience of family.